Thanks to its distinctive and modern design, the VISION will change the current outlook of the people who have birds and modify for those who wish to have them. 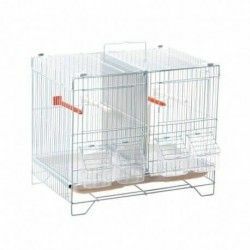 Thanks to the special advantages of this new type of space, no other bird's cage on the market can be compared to VISION. 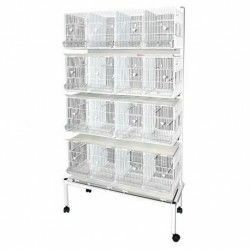 Cages vision are available in models of cage high and low. By buying this product you can collect up to 10 points . Your cart will total 10 points that can be converted into a voucher of 2,00 € . 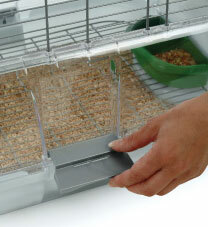 The combination of the tray collects waste deep and the location of the cups for food and water helps to prevent draughts and to keep the greater part of the waste and debris inside the cage. 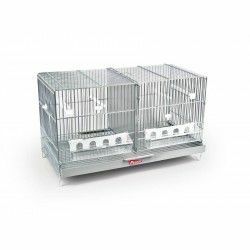 The cage VISION has been specially designed to keep inside the cabin by up to 80% of the waste produced by the birds thereby reducing considerably the cleaning time and allows us to enjoy more of our pet. 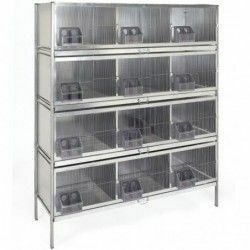 Habitats for birds Vision are available in a variety of sizes, as well as in wires, small or large. The size of the cages have been established on the basis of the field research and testing in the recognized Research Institute Avicultural Hagen (HARI), recommendations from veterinarians are independent, and the experience of more than 25 years and making homes for birds. 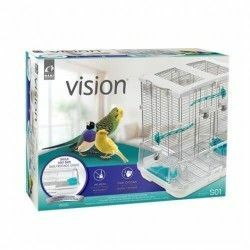 There are a variety of cages Vision available. 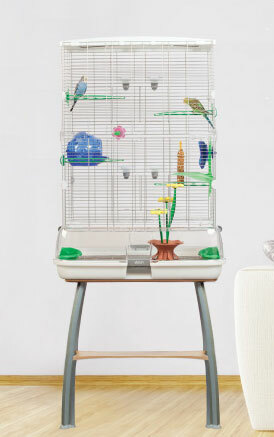 The small cages with small wire are for finches, canaries, parakeets and lovebirds. 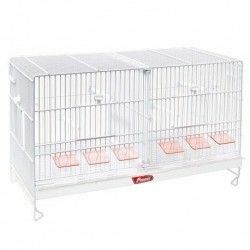 While the larger cages with thick wire are for parakeets large, lovebirds and nymphs. 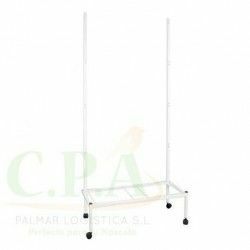 The cages are made in conditions friendly to the environment, using the latest and most modern manufacturing processes with emphasis on cause less pollution and low-waste. These cages are made of wire, low-carbon , corrosion-resistant, with a paint finish free of lead and zinc. 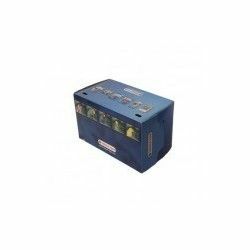 This ensures that the birds enjoy a comfortable home and safe. 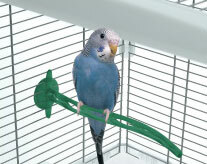 Most of the perches come in a uniform diameter, so that the birds that use these types of perches of uniform size to develop the same grip position. The hangers of Vision has a wavy pattern with a diameter variables. 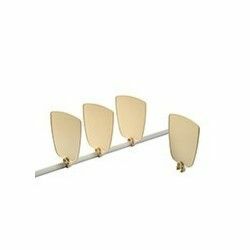 As well, the birds will have grips in different points of the hanger, the variations in the grip promote the blood circulation and prevent foot problems. The birds tend to be eaters frantic. While they eat, the seeds will inevitably fly by all sides. When the birds fly in their cages, when flapping their wings to create downward air currents. A feeding frenzy, and the currents of air can cause a big mess. The deep foundation of Vision combined with the low position of the feeders solves the problem of disorder. 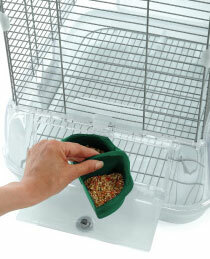 The food flying and the feces end up in the base of the cage, instead of on the floor of your home. 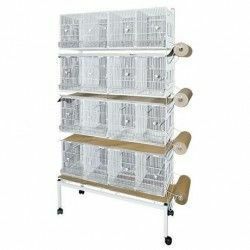 Most of the cages for birds have pull-out drawers in the lower part, often do not do a good job picking up the seeds and waste of the birds, which tend to fall in the cracks between the cage and drawer, creating maintenance problems. Homes for birds Vision not have drawers. 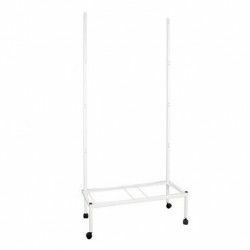 In its place, the top of the cage detaches from the base, so that you can empty the contents of the database in the trash can. The cleaning takes less time. 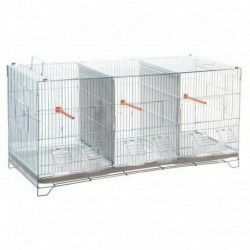 The base has a relief that allows the circulation of air between the cage and the table where it is placed and thus prevent mold. 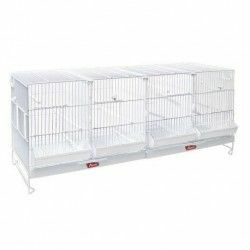 Cages Vision come with large double doors front. Open towards the inside and serve as a practice landing strip for birds returning from a brief excursion out of the cage. Another great advantage is that when the birds perch on the open doors, their waste falls in the base inside the cage and not on the ground. The doors work independently, so you can close one and leave the other open. 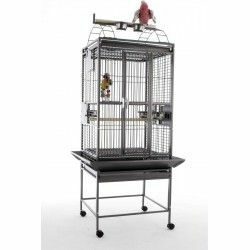 This is very useful when you need to handle a bird, because it allows you to get to the interior and reduces to a minimum the chances of escape. You can access the cups of food and water from the outside, this way you don't have to stick your hand in the cage and startle your bird. There is also a door extra single to the sides, dedicated to food. As we have already mentioned, the feeders are located near the bottom of the cage, so that there is a high probability that the debris and the husks of the seeds end up in the base of the cage. Mounting pressure plain and simple. You do not need screws, hooks or tools. 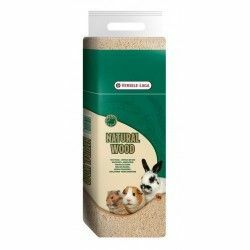 Made of materials safe for the birds and resistant. 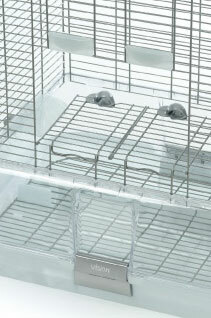 Maintains up to 80% of the waste of the birds on the inside of the cage. Double door front independent spacious. Access to the feeders and perches from the outside to reduce the stress on the birds. Description: Thanks to its distinctive and modern design, the VISION will change the current outlook of the people who have birds and modify for those who wish to have them. 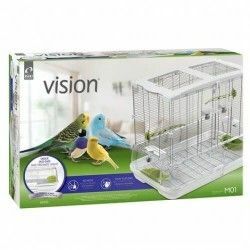 Thanks to the special advantages of this new type of space, no other bird's cage on the market can be compared to VISION. 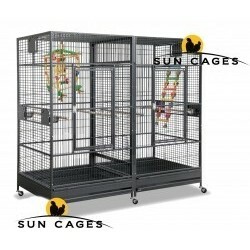 Cages vision are available in models of cage high and low.